Sunday with a Junior Scientist is 1:30 to 4:30 p.m. April 2 at Morrill Hall. 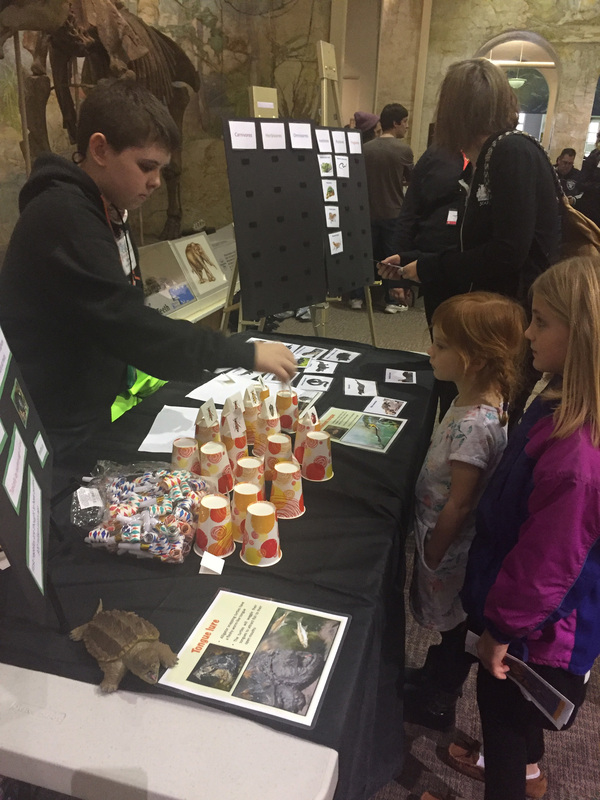 The University of Nebraska State Museum will host a special free-admission edition of Sunday with a Scientist in partnership with the Lincoln Public Schools' Community Learning Centers and University of Nebraska-Lincoln students and faculty from 1:30 to 4:30 p.m. April 2 at Morrill Hall, 645 N. 14th St.
LPS middle and elementary school students will present their own hands-on activities to museum visitors. The activities will focus on animal behavior including communication, mutualism, mating behavior and natural selection. The LPS students have been mentored by Nebraska undergraduate and graduate students, led by Eileen Hebets, biological sciences professor at Nebraska. "It is incredibly rewarding to see the creativity, passion and teamwork that students of all levels bring to this program in general and this event in particular," Hebets said. "Our first Sunday with a Junior Scientist, held last fall, exceeded all of our expectations, and this spring's program, led by graduate student Alissa Anderson, is sure to not disappoint." The program provides a multigenerational approach to education in the natural sciences. Nebraska students receive formal instruction on how to construct and deliver effective informal science activities. The university students then serve as after school science club leaders, working with middle school students in the Community Learning Centers. These middle school students and CLC staff, in turn, connect with elementary students in joint elementary/middle school after-school science clubs. "I am so pleased that we will again be hosting our junior scientists as part of our partnership with LPS, the Community Learning Centers and Eileen Hebets," said Museum Director Susan Weller. "One of the museum's goals is to inspire students to pursue careers in science; this event celebrates their excitement and aspirations. And we can't do it without our partners. We are a community that works together for the success of all our children." Free admission for Sunday with a Junior Scientist is supported by gifts from State Museum donors and the Friends of the State Museum. For more information on the program, including upcoming topics, click here.